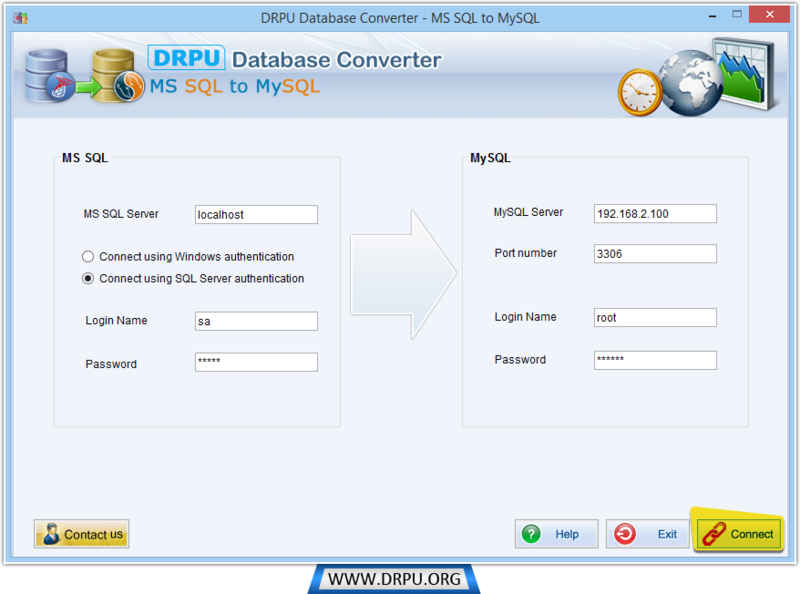 Enter required details to establish connection between MS SQL and MySQL Server. 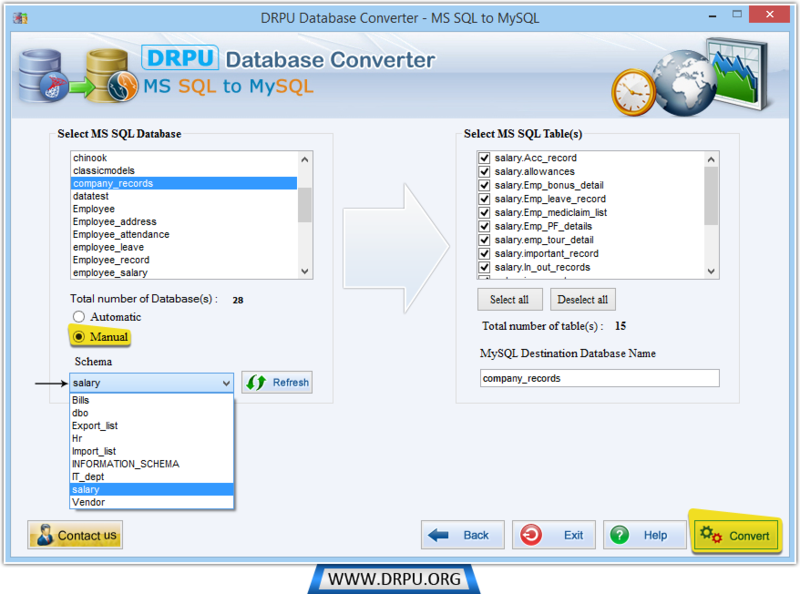 Choose your database from left panel, select schema either manually or automatically. 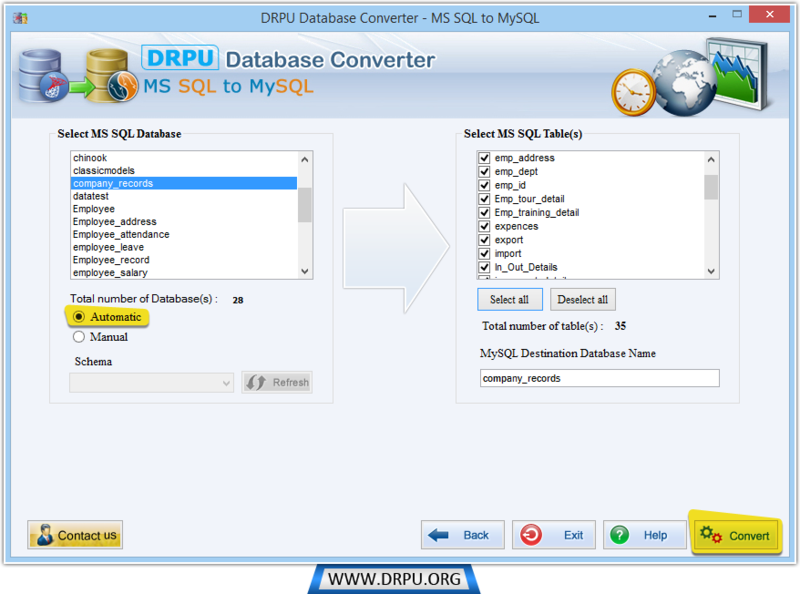 From the right panel, select tables and write name for destination database. 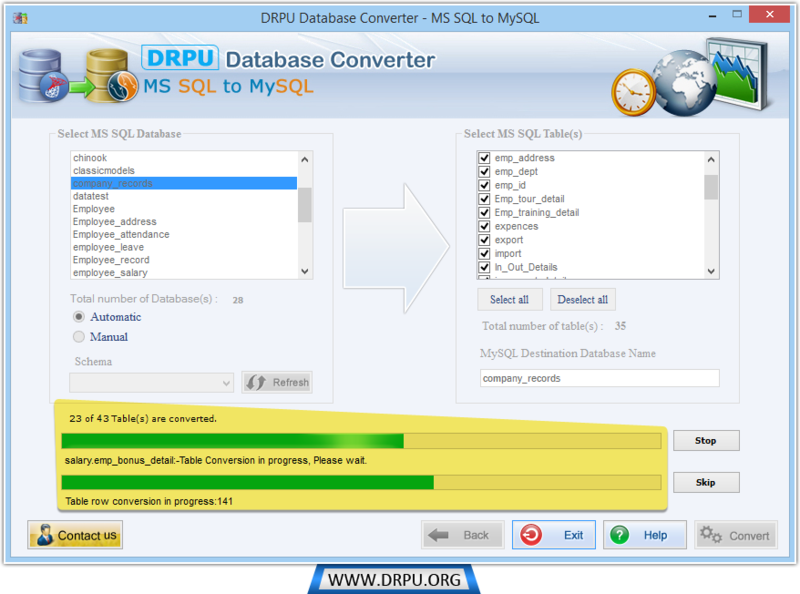 Click on "Convert" to proceed. 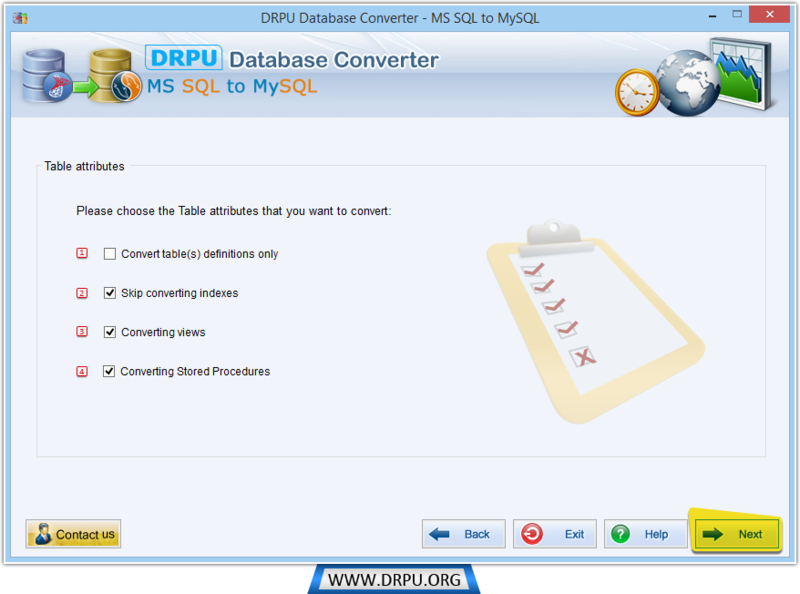 In above screen demonstration of Manual schema selection option is chosen (e.g. - salary). 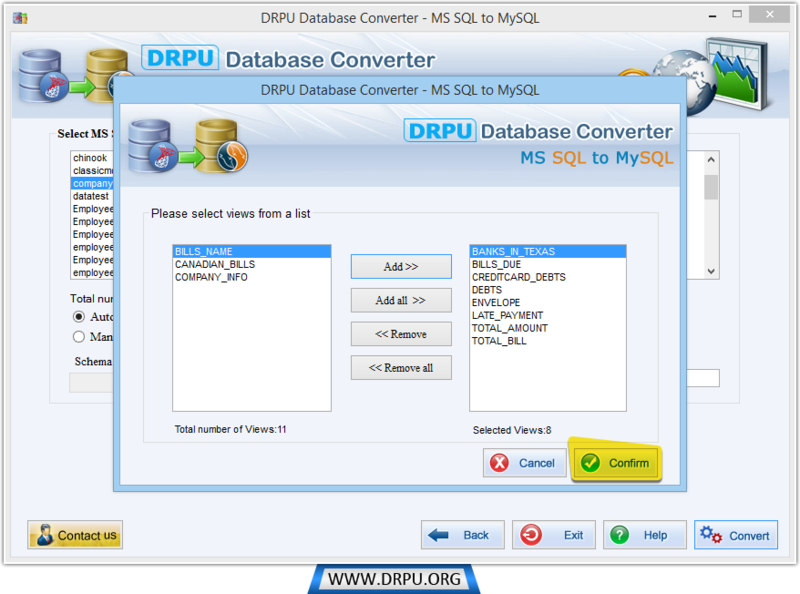 If you want to convert views, add views to right panel and click on "Confirm" button. 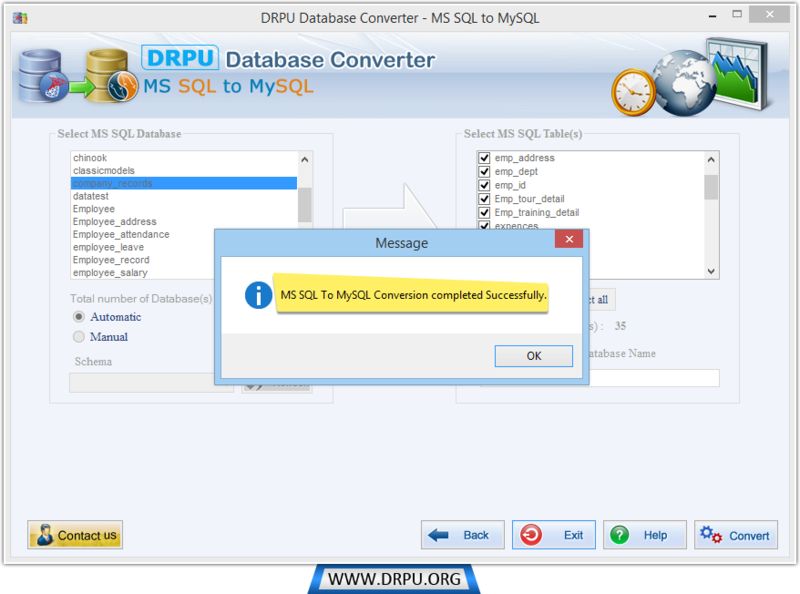 After completion of database conversion process - "MS SQL to MySQL Conversion completed successfully" message will display.